This set consists of 8 track connection edge segments for attaching to the edge of the turntable. 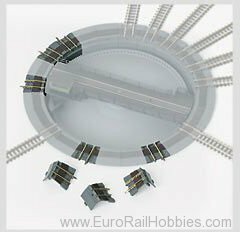 The turntable can be expanded to 24 track connections with 2 expansion sets. The color scheme goes with the 89982 turntable.